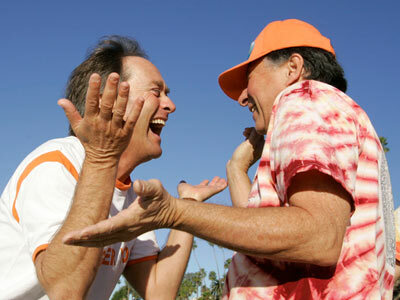 Why laughter could one day save your life. The “Best Medicine” for Your Heart. You look at the “local crazy” who always seems to be laughing to himself and you wonder what he could possibly be so happy about, as he digs through the trash in your neighborhood. If you take a second to think about the action of laughing rather than the situation you may realize what a powerful effect laughter has on our lives. Consider these things about laughter: it has gotten you your first date, made that breakup easier to deal with, created friendships through Wars, made the World make more sense when it seemed to be in despair. So what does the action of laughing till your stomach hurts really effect besides a good abdominal workout? Miller said that the most significant study finding was that “people with heart disease responded less humorously to everyday life situations.” They generally laughed less, even in positive situations, and they displayed more anger and hostility. < Previous 5 MORE REASONS TO DO YOGA. Next > Why more men should do Yoga.